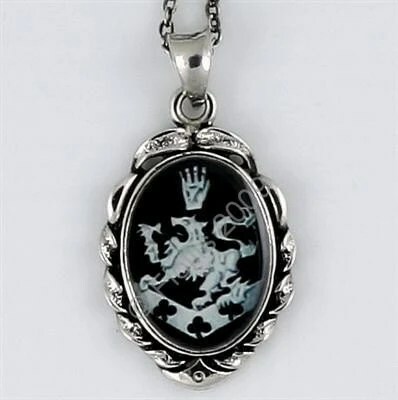 Elegant and strikingly beautiful Cullen Crest made from a vintage casting which is antique silver plated. The quote “Look After My Heart I’ve Left It With You” written in Edward’s handwriting has been embedded into the back of the pendant so you can keep it close to your heart! For purchasing information or additional pictures please visit our new TwilightJewelry website! The quote “Plus que ma propre vie” which means “More than my own life” has been embedded into the back of the pendant so you can keep it close to your heart! For purchasing information or additional pictures please visit our new TwilightJewelry website! Also, visit our new blog for more Twilight inspired jewelry! 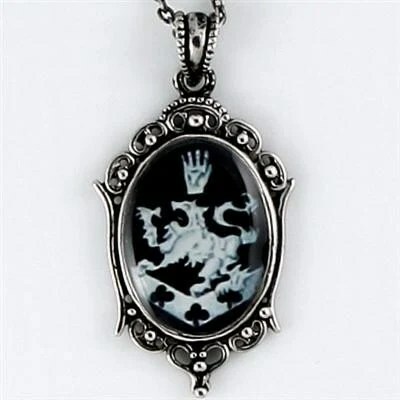 Absolutely stunning and unique Cullen Crest pendant is made from a Victorian style casting which is solid sterling silver. The Cullen family crest has been encased forever in a glass-like, waterproof, high gloss professional finish which is designed to last a lifetime. Beautiful Cullen Crest is made from a gold-tone vintage pendant & hangs from a oxidized sterling silver chain hallmarked .925. For purchasing information or additional pictures please visit our new website! 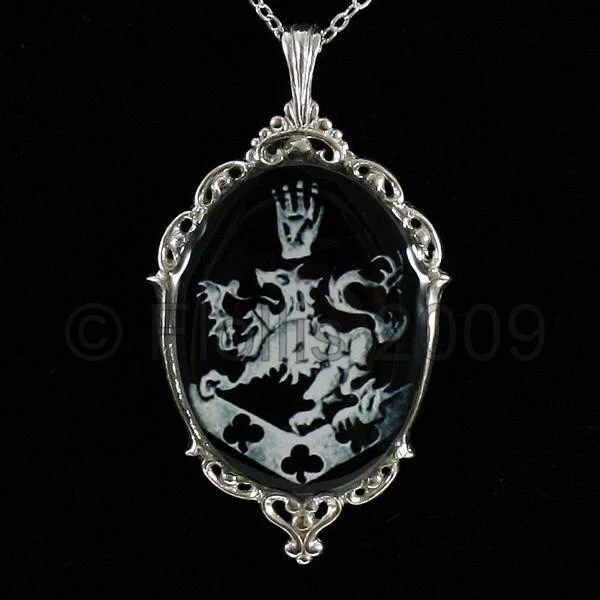 Absolutely stunning Cullen Crest pendant is made from a Victorian style casting which is solid sterling silver. 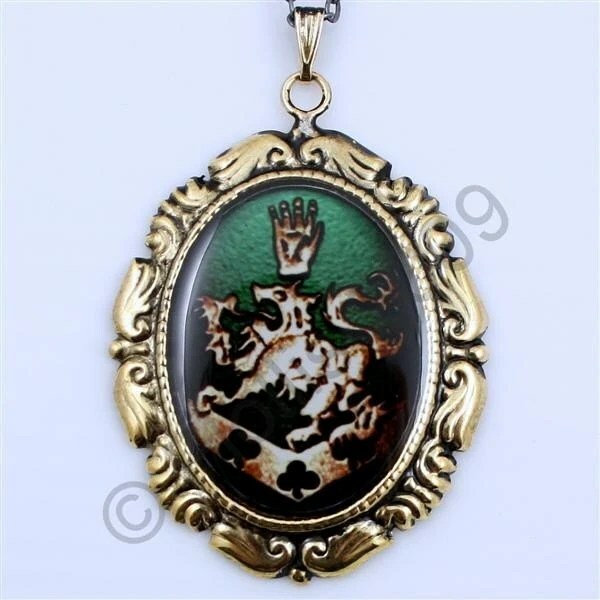 Hangs gracefully from an 18″ sterling silver chain hallmarked .925. Have your favorite quote embedded into the back of the pendant so you can keep it close to your heart!